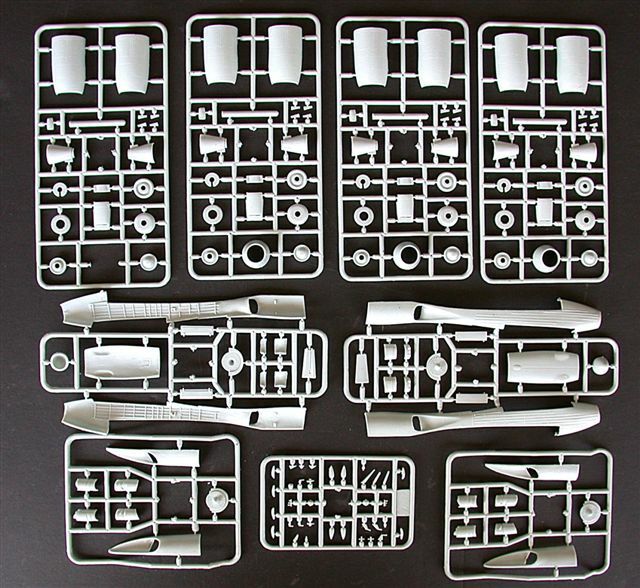 Contrail did a 1/72 Moss vacuform some twenty years ago, and until this latest Amodel release, the Difficult Kit Division of Bondo Industries was deeply enmeshed (five years worth!) in kitbashing the Contrail offering with engines and landing gear from the excellent Trumpeter injected Bear. Recognizing the inexorable forward progress of the plastic model industry, Bondo employees have relegated said kitbash to the Bondo Industries Reclamation Facility and have started over with a clean workbench. 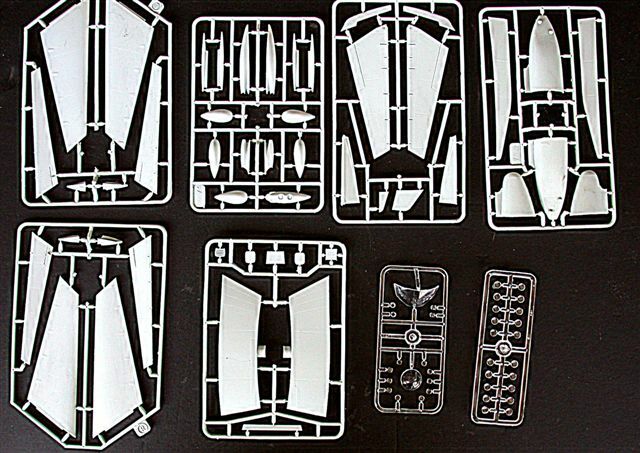 As one might expect of such ambitious undertakings, Amodel kits come with a serious price, made even more so by the fall of the U.S. Dollar. Adequate discretionary income apparently still exists in the hobby, however, as evidenced by Lindenhill Imports honcho, Guy Holroyd, who tells me he sold all five of the Moss kits he carried to Virginia beach on the first day! It’s my understanding that Amodel routinely sells out production runs of other of its similarly priced kits. Alternatively, Anigrand in Hong Kong has recently released a very nice (but also not inexpensive!) all-resin 1/144 Moss for storage space-challenged modelers. The traditional media for Amonster main components is the ol’ reliable hand-laid epoxy glass over gelcoat, the parts done in halves and factory-joined with epoxy glue. Tough stuff; you could kill someone with the wings or fuselage! Additionally, the epoxy glass strength and relative lightness puts worries of drooping vac or resin fuselage or wings to rest forever. Engraving on the epoxy glass components has gradually improved over the many Amonster releases–note that this kit is 17th in the line--until it’s now very restrained, perhaps even more petite than some leading injected kits. The factory joint along the fuselage will require some sanding to make it perfectly flush–this is a NMF finish, remember?–and that means the erased panel lines will have to carefully rescribed with fine- toothed Hasegawa saws. Fortunately the Moss has many injected components that mount over the seams, so the rescribing task may be somewhat eased. 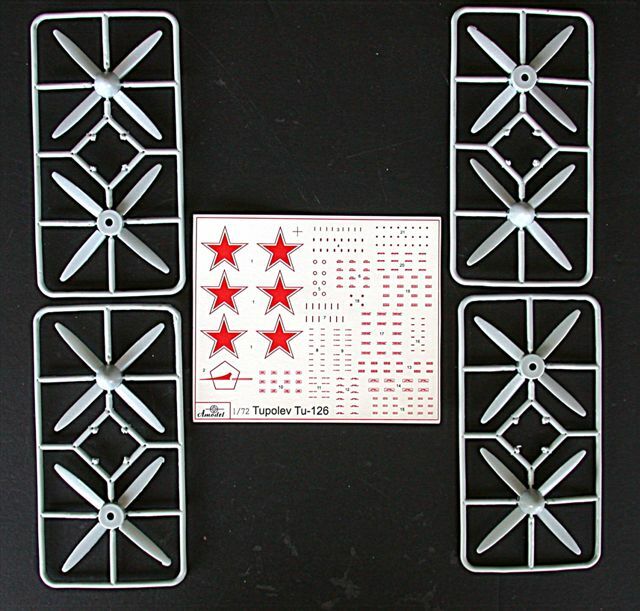 Some twenty-eight smaller sprues of soft plastic injected components are generally well done, with petite, even scribing. 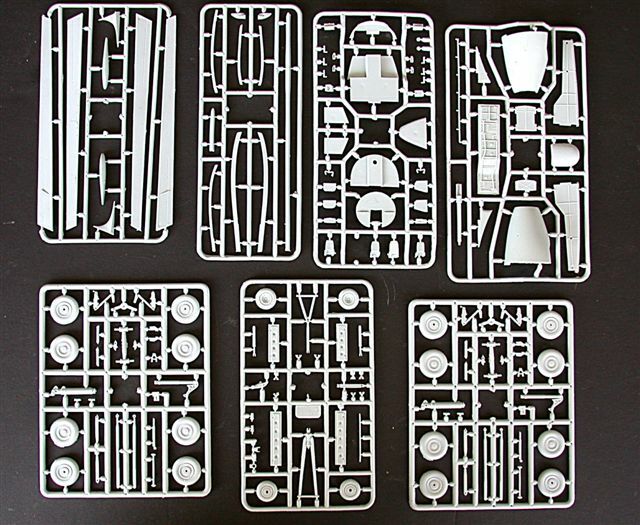 Allow lots of time for parts cleanup, though, because the horde of injected components come with typical limited production, industrial-sized spigots, not only where they join the sprues, but spread onto flat joining surfaces, too. One thing I like about the Amodel releases is that the master modelers strive to produce every visible part, no matter how small. Yes, there’s the cleanup problem, but the detail is available. If Amodel kit history’s any guide, fit of the injected parts will be so-so, certainly not Tamiyagawa, or even Italeri, but doable by all but the most ham-handed, who probably won’t be venturing into the arcane world of limited run kits anyhow. The four big Kusnetszov turboshafts are multipiece assemblies with the cowlings done in halves, actual depth to the concentric ring intakes (1/2") and add-on oil cooler scoops. 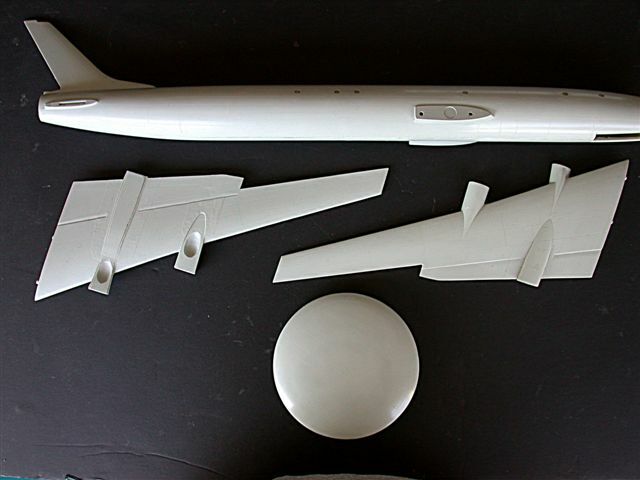 Unlike Amodel’s previous release of the Tu-95, each four-blade prop section is cast as one piece; much less assembly time. I do wish that the exhaust outlets had each been cast as one piece, not halves; again, much less assembly cleanup and sanding. 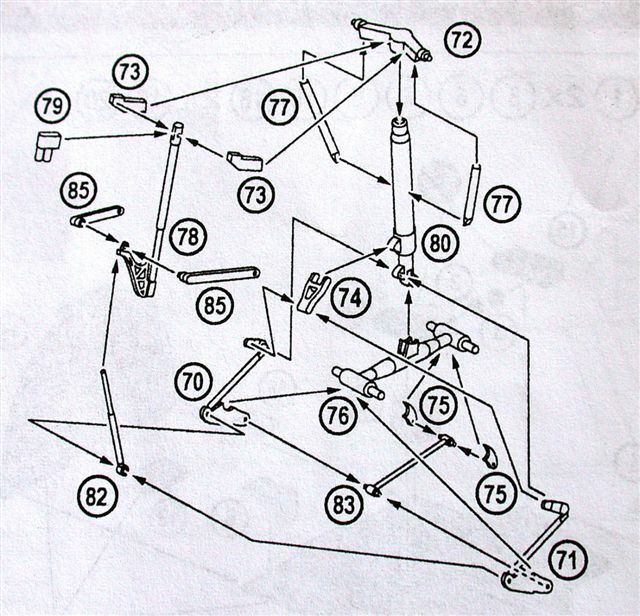 The complexities of the main and nosegear assemblies have been realistically rendered by Amodel and are comprised of numerous spindly struts and small parts–as opposed to the many fewer parts in the Trumpeter Bear--all requiring cleanup. 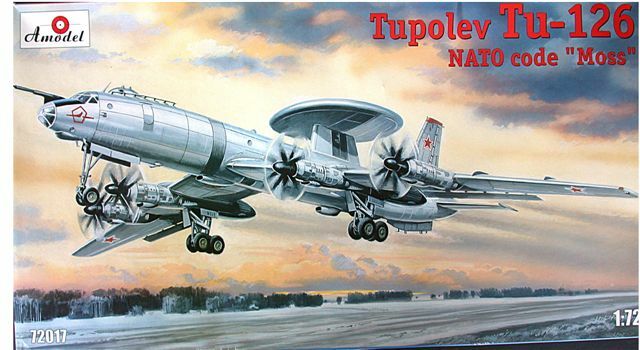 The maingear strut assemblies–there are no separate gear wells--locate between the interior-detailed halves of the big inner nacelle pods, a Tupolev design hallmark. The nosegear well is of built-up construction, with structural detail in the "roof." The nosegear strut has been correctly lengthened, as required by the low-wing airframe. Wheels are well done with delicate holes in the outer halves. The flight deck and nose station are straightforward, with separate consoles and control yokes. The instrument panel has sunken instrument bezels. Seats match up with pix of the real thing, but no belts or harness are included. The small windscreen and windows won't permit much viewing anyhow. 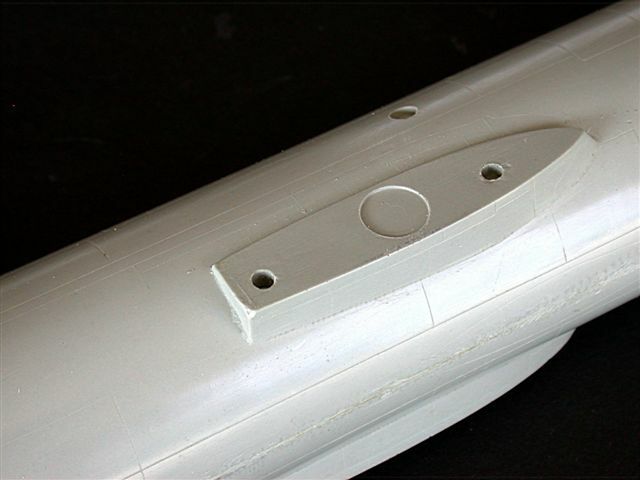 The epoxy glass wings have cast-in dowels which mount into pre-drilled holes in the fuselage. 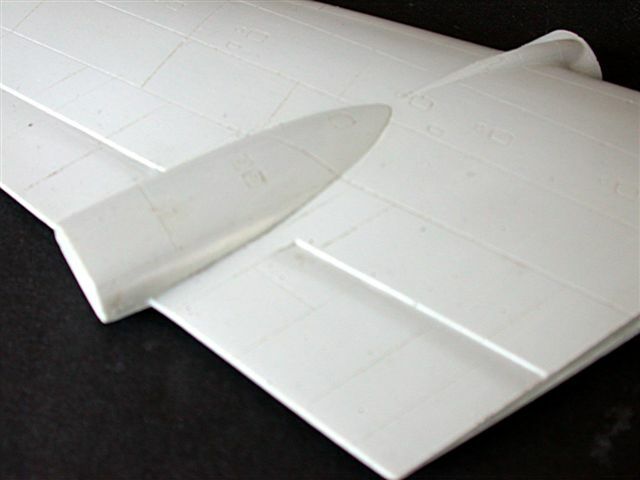 Unlike the Amodel Bear, flaps are integrally cast with the wings, but ailerons, horizontal fins, stabilizers and rudder are of injected, built-up construction. Not as thin as good vacuform, but very clear–Mach 2 could learn a lot from these Ukrainians–with fine engraving. 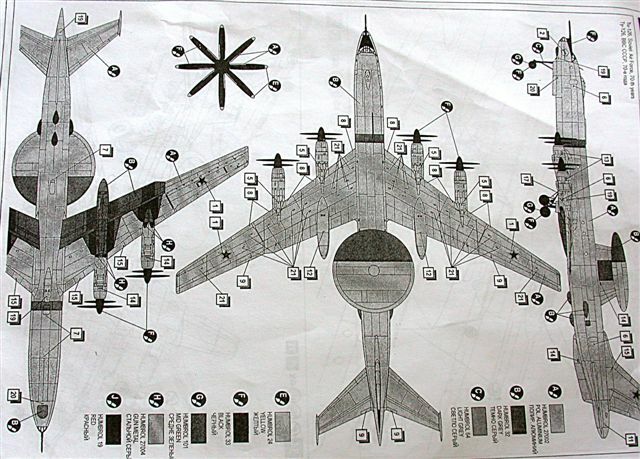 The modeler is directed to drill out the fuselage portholes, an action I don’t understand. There’s really nothing to see inside, so why not skip the drilling, paint each “hole” black and then glue in the clear cast windows? Because the fuselage comes in one piece, pouring clear resin into the window opening from behind is not possible. 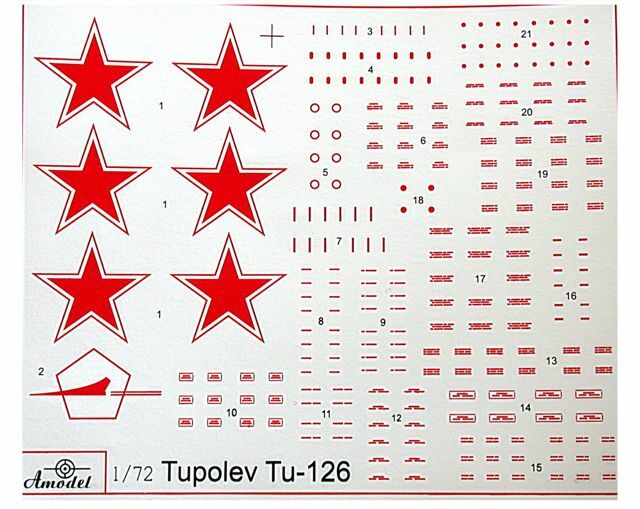 The decal sheet features Soviet stars and a wealth of red stencils, unfortunately all in that irritating flat-finish which doesn’t jive with shiney, NMF finishes. This curmudgeon’s gonna try to pre-spray the sheet with Micro Superfilm. Maybe one of Lindenhill’s vendors such as Begemot, will release an improved sheet...soon! The Bear H comes with a decent booklet done in no-text style. Exploded parts assembly are self-explanatory, but I'd strongly recommend additional references such as the excellent Aerofax book by Yefim Gordon. 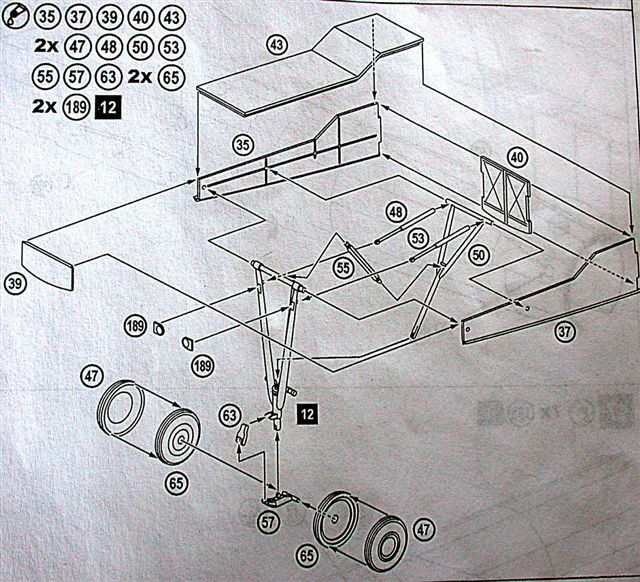 A B&W three-view on the back of the assembly booklet has color, markings and stencil callouts. Amodel has delivered another great subject for the Evil Empire niche of the hobby. 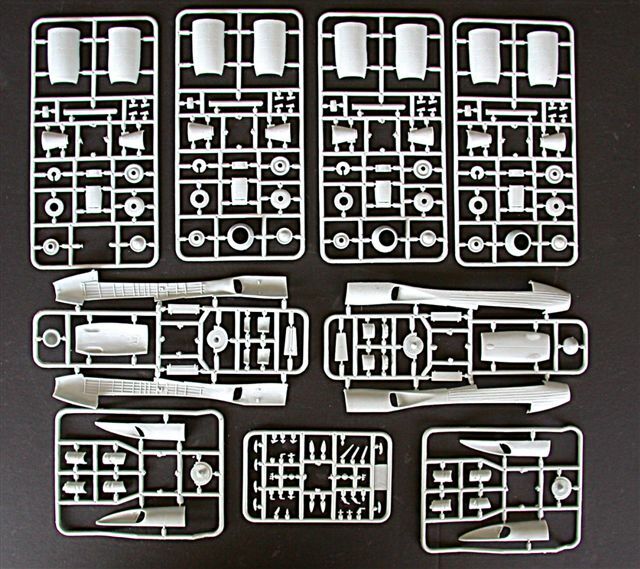 Amodel's release, while not an inexpensive afternoon project, and with the comparative roughness of limited edition kits, is nevertheless a quantum step beyond vacuform multimedia kits of the past, and this modeler welcomes it.